The 90’s are officially back! Constantin Film’s is set to bring to life, Danger Girl, one of the most iconic comic books series’ of the 90s. 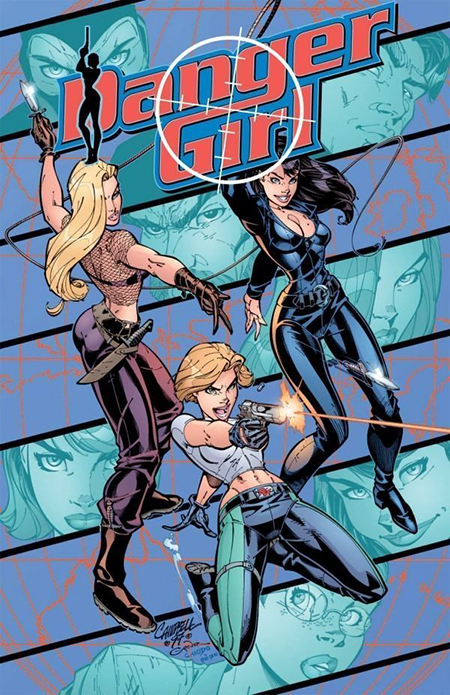 Constantin Film, the company behind the Resident Evil is getting ready to bring to life a new female-fronted action franchise based on the iconic 90’s comic book, Danger Girl. The company recently acquired the rights to the franchise and is developing the title with Jeremy Bolt’s Bolt Pictures and Adrian Askarieh’s Prime Universe Films to produce films and television shows based on the fan-favorite property. Constantin’s Robert Kulzer will produce along with Bolt and Askarieh. Constantin’s Martin Moszkowicz will executive produce. Creators Campbell and Hartnell will also executive produce.